Easy to peel clear address labels feature unique pop-up edges that allow ready access. 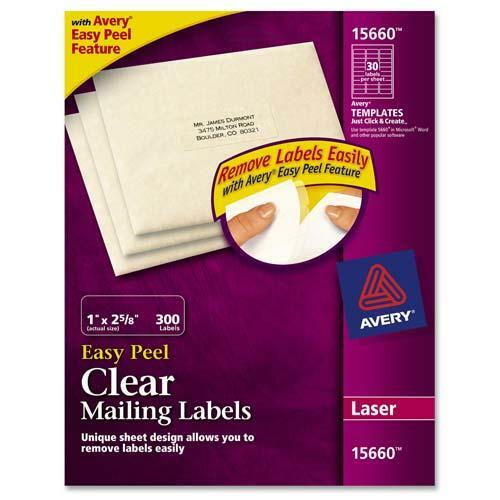 Just bend a label sheet to expose the label edges, then fold the sheet back to flat and you're ready for fast label peeling. Clear labels provide a professional, custom look as everything but the words on them virtually disappear when labels are applied to either white or colored surfaces. Easily format labels with free downloadable Avery Wizard Software, which also lets you import your data from Excel, Outlook and more.